When night falls, Shôko transforms, bringin the best nights in Barcelona that continues until dawn with the best beats from international Dj’s such as Rawliquor Dj’s, Dj D-Wayne, Nouveaubeats Dj’s, DVBBS, Sebastián Gamboa, Quintino, Borgeous, Tom Swoon and their resident Dj’s Tony Storella, Dj Muly, Dj Papis.. The nights in Shôko are famous for their originality and theme parties, this is what have made us the official venue for the best “After parties” for concerts (Madonna, Elton John, Cold Play, The Killers, Depeche Mode, Lady Gaga and more) big events (Bread &Butter, 080 fashion, Ed Hardy) and even movie premieres (Paranormal activity, TheHangover, Jackass, REC, and more). 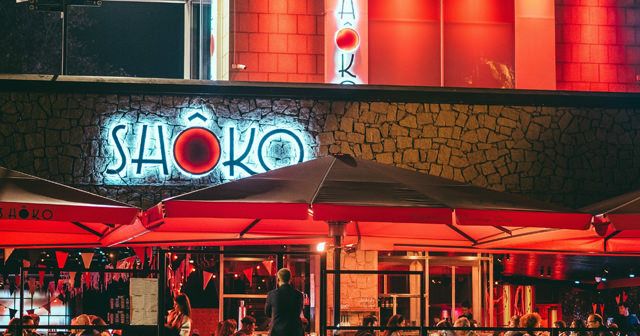 Shoko is located by the sea and next to the Barcelona Port Olimpic. How much is cover charge at Shoko? Shoko usually does not charge cover but it is best to come prepared. How long will I have to wait at Shoko? 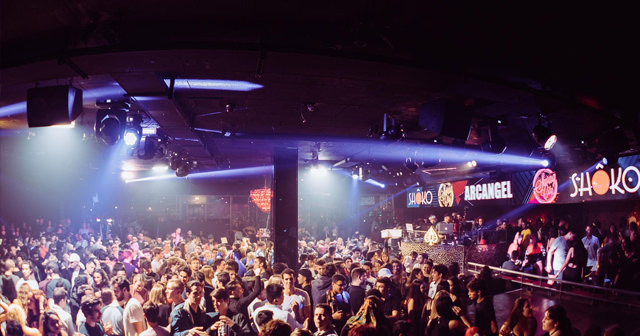 What are the best nights to go to Shoko? All nights are good. This is one of the hottest spots in town right now and one of the only clubs open daily. What is the dress code at Shoko? Dress to impress! Shoko has a strict dress code. Collared shirt / jeans / dress shoes are recommended for guys. Avoid anything that can be considered sportswear (track jackets, jerseys, sneakers, hats, etc). Unless you’re a celebrity – in that case you can dress however you please. How much do drinks cost at Shoko? 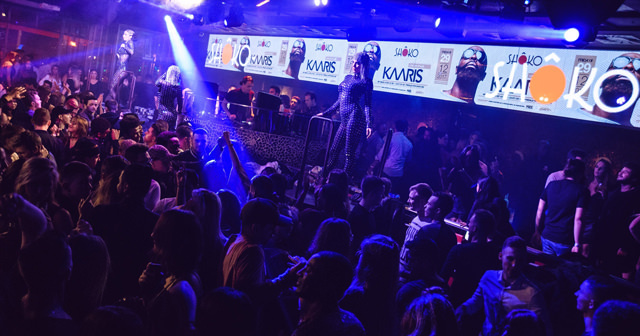 Expect to pay 10-15 Euros for cocktails, check our bottle service page for Shoko to see bottle pricing. What kind of music do they play at Shoko? The music at Shoko is usually a mix of electronic and RnB music. Where can I find an list of upcoming events / DJs at Shoko? You can download the Discotech app to see upcoming events, and book tables for Shoko.